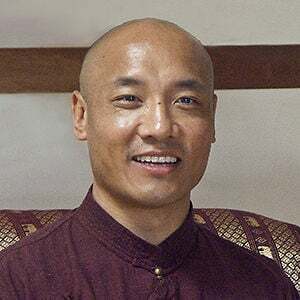 I wrote a number of posts about Anam Thubten in the early years of this blog. Not so many lately, though that may change in the future. I’ve followed his teachings for the last dozen years – via his books, his daylong retreats in Sacramento (which happen about once a year), and his recorded talks on the Dharmata Foundation website. His profound gift is his ability to present some of the oldest and most revered teachings in Tibetan Buddhism in clear and accessible terms to audiences around the world. This entry was posted in Buddhism, Culture, Meditation, Spirituality and tagged Buddhism, Climate change, Culture, Meditation, spirituality. Bookmark the permalink. Yes! Hope is different from optimism, and much superior. Yes, I think hope is the answer. Hope has an energy and an alignment of its own, and it really has the power to change events and actions.